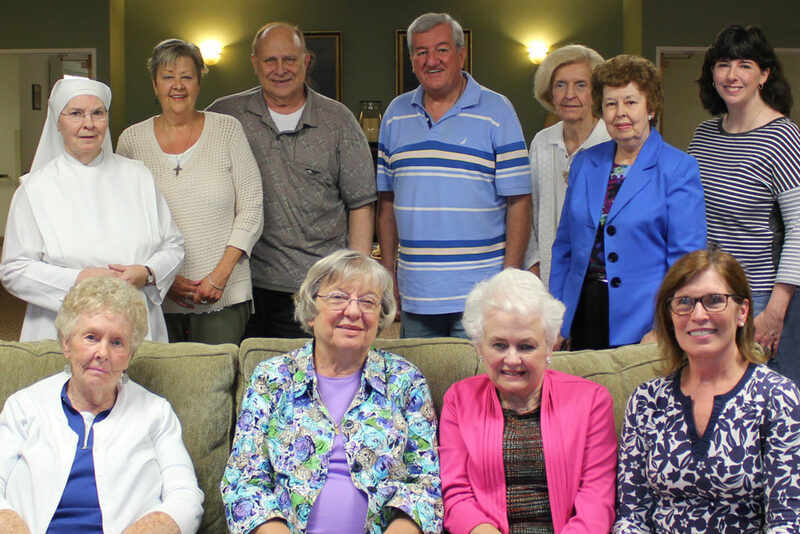 The Little Sisters of the Poor will have their annual autumn roast beef dinner from 12 p.m. to 4 p.m. Sunday, Oct. 16, in the auditorium of Holy Family Residence, 2500 Adams Ave., Scranton, located adjacent to Marywood University. All proceeds will be used to cover the expenses of a new bus for the Residents of Holy Family Residence. The dinner, which will be catered courtesy of Stirna’s Restaurant, includes roast beef, mashed potatoes and gravy, carrots, rolls and butter, assorted pies and beverages. Takeouts will be available too. Tickets for adults are $10 in advance and $12 at the door. Tickets for children 10 and younger are $6. Tickets can be purchased in advance by calling (570) 343-4065 or online here. Seated: Theresa Durkin, Scranton; Carole Paswinski, Dunmore; Nancy Wilson, Scranton; and Cathy Lavelle, Scranton. Standing: Sister Marie Therese, l.s.p., Scranton; Karen Caruso, development assistant, Scranton; Pete Kanton, Moosic; Charlie Butler, Wilkes-Barre; Ann Kwak, Wilkes-Barre; Joyce Tressler, Clarks Summit; and Jackie Galvin, director of development and communications, Avoca. Also serving on the committee are Marlene Deily, Faith Foley, Cathy Gavin, Anne Grady, MaryCarol Kanton, Mary Sheils, Mary Jane Sheridan, Janet Skibinski, Lisa Blaker, director of activities and volunteer coordinator; Mother Theresa Louisa, l.s.p.